News related to Supernatural's Season 9. 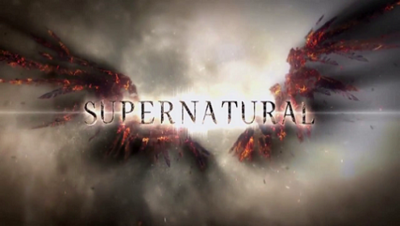 The second promotional poster for season nine. Series renewals are traditionally announced at the end of Network Upfronts in mid-May, following the end of the season. However it is not unusual for shows to be given an earlier pickup. 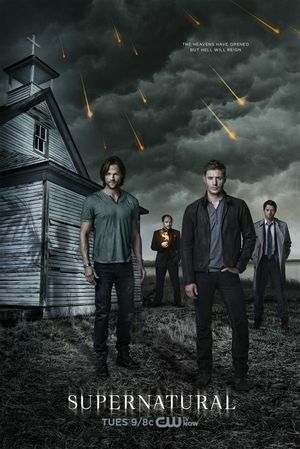 Season 6 of Supernatural was picked up early in the year on February 18, 2010, while season 7 was confirmed on April 26, 2011. season 8 was confirmed on May 3, 2012. August 5th: At the Salute to Supernatural New Jersey 2012, Jared says that he and Jensen were under contract for seasons 9 and 10 if the show is renewed for those seasons. December 18th: Supernatural rated "certain to be renewed" by TVByTheNumbers. January 13th: At the Winter Television Critics Association tour, CW president Mark Pedowitz says, "Creatively, the show is in a good place," he told reporters of a show for which he has been a big supporter, noting that he's pleased with its total viewership increase after moving from Fridays to Wednesdays (pair with breakout Arrow) this season. In reply to fan speculation, Kevin Parks tweeted "It sounds good for S9. Cross our fingers for the announcement." February 12th: Supernatural is announces its ninth season in its earliest renewal ever. "We said last year that one of our goals was to establish building blocks to grow on, and now with our new hit 'Arrow' and fan favorite 'Supernatural' on Wednesday night, and the continued success of 'The Vampire Diaries' on Thursday, we've been able to do that," says CW president Mark Pedowitz in a statement. "Not only do 'Arrow,' 'Supernatural,' and 'The Vampire Diaries' perform well on-air, they're also extremely successful for us both digitally and socially. I'm thrilled to have all three shows returning to our schedule next season," he continues. February 25th: Misha Collins is once again promoted to series regular for season 9, after being credited as a "Special Guest Star" for seasons 7 and 8. May 28th: Supernatural writer Adam Glass ask for some story ideas for season 9. Lots of fans responded - as well as fellow writer Robbie Thompson. Read the tweets here. June 1st: Writer Ben Edlund is confirmed as not be returning to Supernatural in season 9, as he moves to write for Eric Kripke's Revolution. Returning to the writer's room will be Nicole Snyder and Eric Charmelo who worked on the show in season 6. Check out all the tweets and pics from the cast and crew as filming wound up for the season. Pages in category "Season 9"
Media in category "Season 9"
The following 290 files are in this category, out of 290 total.